As a fairly traditional gamer, I tend to be a bit sceptical about gaming on touch screen phones. If it doesn’t have a mouse, keyboard and 8GB of RAM why bother even trying to play a game on it? Serious games surely can’t exist with such basic interactivity methods can they? I mean, there’s a reason why every journalist is illustrating just how easy iPads are to use with endearing anecdotes about how even their unborn baby is able to play around on it. The traditionalist in me is yelling, “I don’t want games designed for toddlers to be able to play – I’m not a toddler!” Would Counter Strike work on your Nexus 7? Could you imagine Starcraft II tournaments held on Kindle Fires? These are some of the best games ever made – they also cannot work on mobile platforms as they currently exist. That’s a shame, but thankfully it might not be the case for much longer. First, touch is basic. Basic does not lend itself well (initially) to complex gameplay. It’s all well and good for Angry Birds and Fruit Ninja, but if you take a step back and think about it – would either of these games have taken off on the PC or consoles which use more advanced input methods? Sitting at your desktop, launching enraged avians with the same mouse action and using the left mouse button leaves you thinking: “Is this it?” It was only innovative and impressive because it was implemented on what was perceived to be an inferior platform with the limitations of touch input. To make serious moves beyond gimmicky touchscreen games, mobile gaming needs to move beyond these limitations. Other input methods would be no bad thing. As they become even more connected some phones are already able to output HDMI video to TVs. There’s even a possibility that the Samsung Galaxy Beam could project games onto any surface you want – if you have a portable controller, you can have console level gaming on the fly. 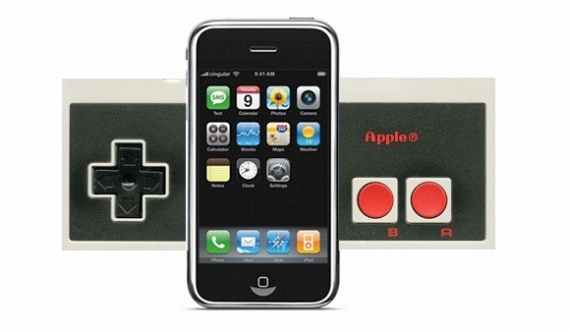 What separates the next generation of phones from consoles then? Well, up until now quite a lot. Phones have been held back by hardware limitations. Phones haven’t been (and on the whole, mostly still aren’t) designed for gaming. It’s just another service tacked on to sell more phones whose main purpose it to do something else. This, however, is where the exciting changes are happening. 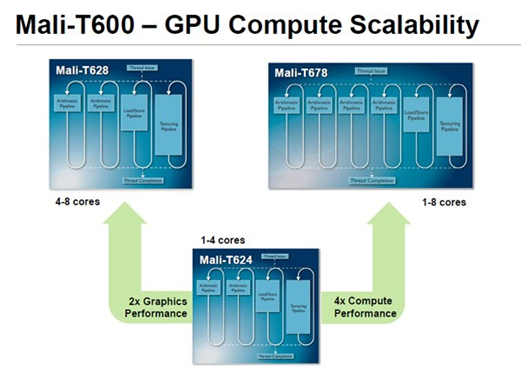 ARM has just announced prototypes for eight-core graphical processing units. They also promise 50% more performance for the same size and power requirements, meaning that phones don’t need to get bigger and more power hungry to vastly improve performance. Progress has been made already, with the Samsung Galaxy SIII supporting Nvidia Tegra 3 graphics. With the potential for 2x graphics performance and 4x compute performance from the new ARM chips, the phones of 2013/14 could pack some pretty serious firepower to rival the current generation of consoles. Being able to use the computing power of your phone and maintain your library of games wherever you go on a portable device would give gamers greater control over their own profiles and also give developers more possibilities for their games. Why restrict themselves to just a small screen and basic hardware – the future of gaming is indeed mobile, but it isn’t yet another Angry Birds. As hardware accelerates, there won’t be such a gap between desktop gaming capabilities and mobile ones. 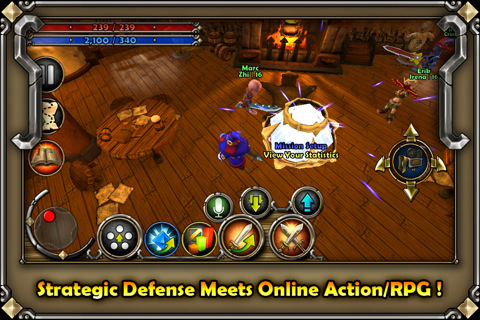 The first game that helped to blur the line between mobile and traditional gaming was Dungeon Defenders: First Wave. Implementing the Unreal Engine it required at least 512MB memory and preferably a 1GHz processor – not too far off what gamers required back in 2004 on their desktops. Android game using the Unreal engine that looks set to even push the boundaries of mobile gaming further. In order to make mobile gaming work beyond the level of casual games and Bejewelled rip-offs, phones need a minimum level of hardware requirements. However, that’s not all. There also needs to be a more innovative use of touch technology and recognition of touchscreen technology’s limitations for gaming. Usability and accessibility has never been the core development goal of any of the truly great games. Currently phones aren’t designed with gaming in mind, so games that are made for phones have to deal with the limitations that arise out of making a phone good at being a phone. 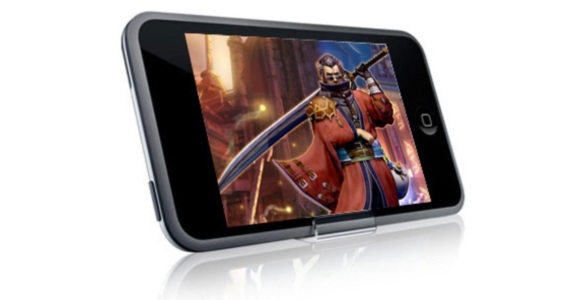 The trend towards quad-core phones and dedicated graphics illustrates that manufacturers are beginning to take mobile gaming seriously. As long as this continues, you can be pretty sure that developers will jump on the bandwagon and create some pretty awesome games that can take advantage of the new mobile platform. About the Author – Ollie Sheerin writes about tech, gadgets and the mobile phone industry, including promoting the mobile phone company Orange.